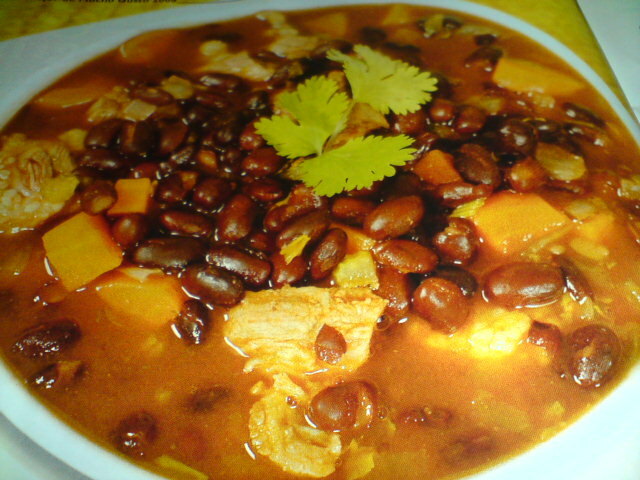 Recipe Site Spanish and South American cuisine. 1Heat the oil in a pan and fry the onion and garlic, tomato paste, oregano, pepper, salt and pepper cooked. 2Add water and bring to the boil. 3Add beans and diced potatoes and cook until tender. 4Mix the eggs with the cheese and add to pot to. 5Add milk, parsley and coriander.